This past weekend Brahmin had the pleasure of being featured as a sponsor in the HBO Luxury Lounge at the Four Seasons Hotel in Los Angeles, Beverly Hills. It was so exciting to be in the center of the Emmys universe as celebrities, network executives and media stopped by as they all prepared for the big night! Here's an exclusive look inside the lounge! Guests got to check out our latest fall bags and went home with a piece from our woven collection. See any familiar faces!? More pictures to come! 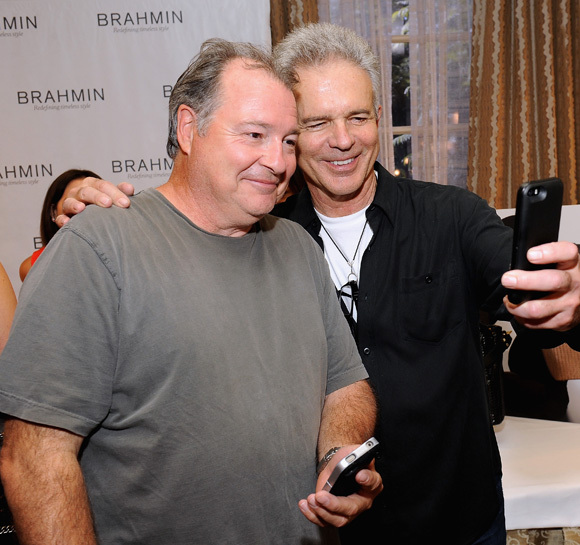 We had such a great time meeting all the talent that came through the lounge and were thrilled to learn many of them were already huge Brahmin fans and owned several bags! Posted on August 28, 2014 by Brahmin Handbags.